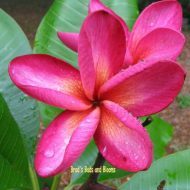 Welcome to Brad’s Buds and Blooms, a Central Florida nursery located near Orlando, in the beautiful town of Geneva. 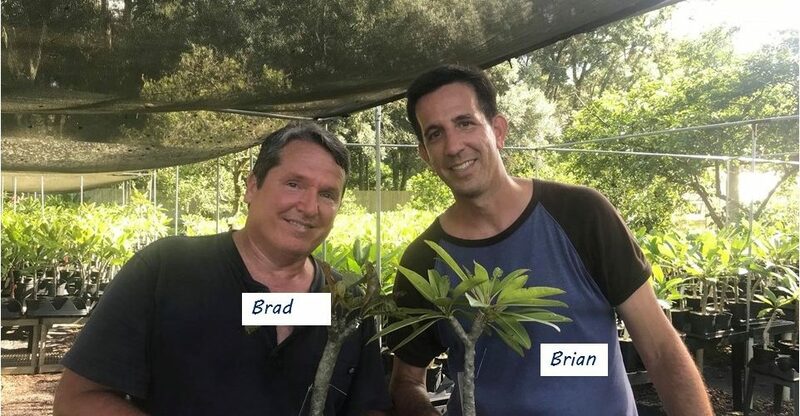 Brad’s Buds and Blooms is owned and operated by Brad Willis and Brian West, and is registered with the Florida Department of Agriculture and Consumer Services. 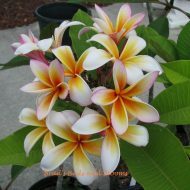 We are inspected annually, maintain compliance with all applicable state and federal regulations, and are certified to ship both domestically and internationally. 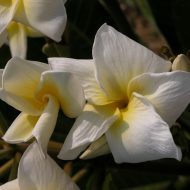 Brad received his first plumeria as a gift in 1996 (a variety known as Florida Dawn: https://www.bradsbudsandblooms.com/shop/plumeria/plumeria-from-usa/florida-dawn/) and a love affair was born. 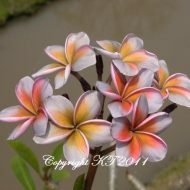 By June of 2004, his passion for these amazing plants led to the creation of Brad’s Buds and Blooms. 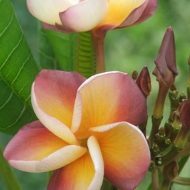 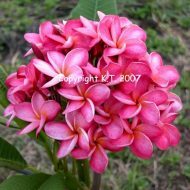 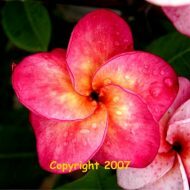 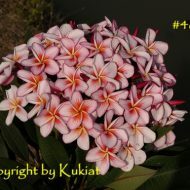 Since those early days we have expanded significantly, and today are a go-to source for many rare, unique and exclusive plumeria cultivars. 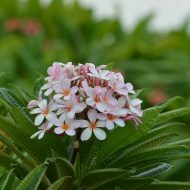 We work hard to maintain a high standard of quality in our products and customer service, which in turn has inspired a high level of trust and satisfaction amongst our customers. 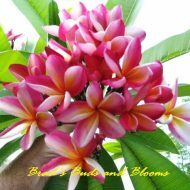 As numerous repeat customers will attest, you may buy with confidence from Brad’s Buds and Blooms! 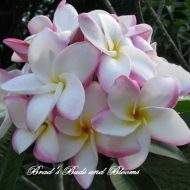 Also, you may rest assured that Brad’s Buds & Blooms will not share any of your personal information with any other party. 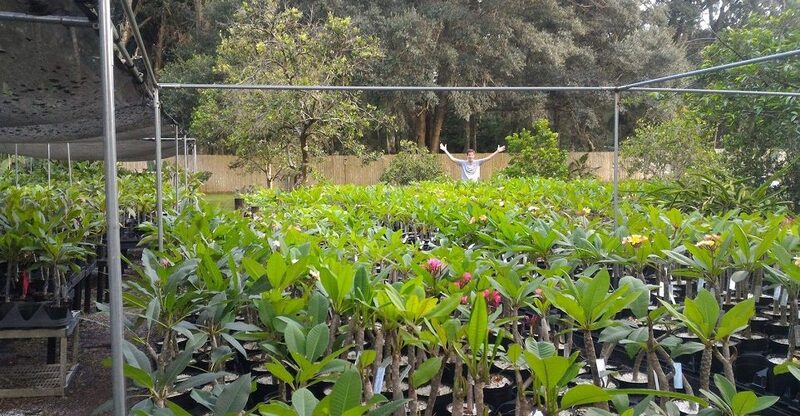 If you live in or plan to be visiting the metro Orlando area and would like to purchase plants “in person”, we look forward to accommodating you by appointment only. 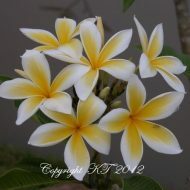 Please give us a call or send an email to schedule. 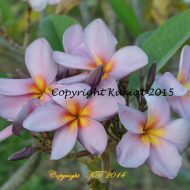 Please note: appointments are scheduled from the 3rd weekend in April to the first weekend in December, only on Wednesdays thru Sundays, from 10 am to 5 pm. 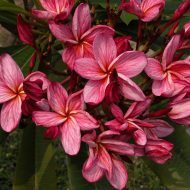 Please make sure you have secured an appointment before coming to the nursery to ensure someone is available to serve you.